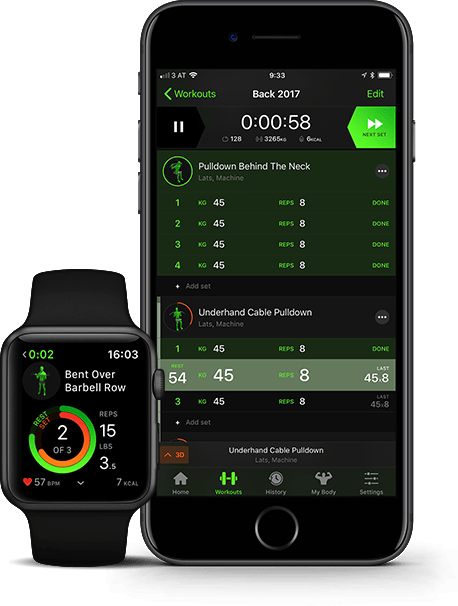 Are you looking for a workout app that’s compatible with your Apple Watch? I’ve tested all of them. Here’s my list of favorites and what I like about them. Most people who go to the gym like to track their progress. It can be both a motivator and training assistant to track workouts and progress. Before we had smartphones, we used good ol’ pad and paper. Now with iOS and Android devices, we can track our sets on our phone. If you have an Apple Watch, the next evolution is to track it on your wrist. Here’s a rundown of apps that let you track fitness goals on your Apple Watch. I wanted to make sure the apps I tested allowed lots of custom routines. Many Apple Watch apps had pre-set routines you have to follow. I work with a trainer, so I wanted to add my custom program. 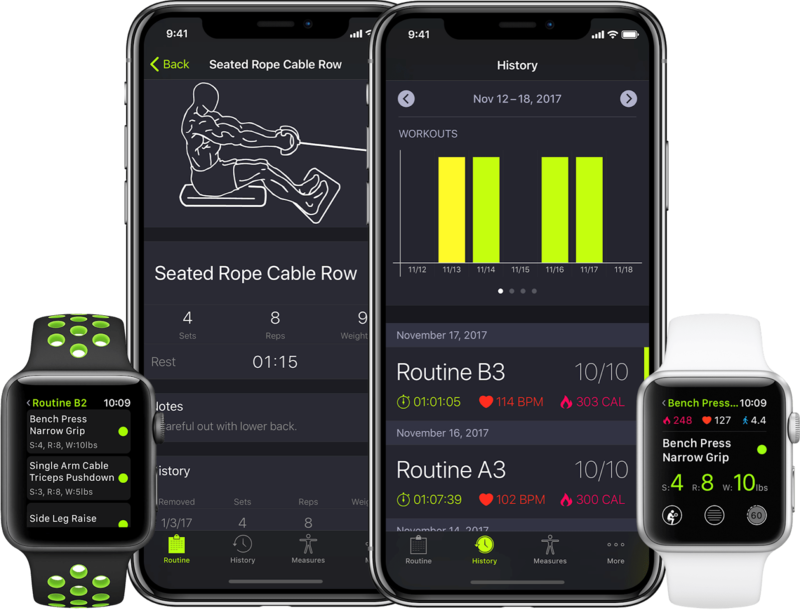 Also, all the apps I mention below record your workouts to Health Kit, saving you time from having to log workouts through the Apple included workout app. Smart Gym isn’t free, but it also doesn’t come crippled. For a one-time purchase of $3.99, it does almost everything. It has one of the largest databases of exercises out there. Since I go to Planet Fitness, I’m interested in the Smith Machine routines. They’re all there. You can create personal routines without the noise of “suggested” workouts. I want to create my own sets with a trainer rather than have the app tell me. It lets you superset any exercise and even includes rest times. On the Apple Watch, it tracks your heart rate and calories burned. I get a complete dashboard of my workout on my wrist. Gymaholic is a fantastic app. My only complaint is you need to spend $31.99/year for the premium version if you want all the features. I paid the $3.99 and tried it for a month before dropping it. The feature I like the most is the 3D avatar that shows you how to do the workout. Not only does it work on the iPhone, but when you Force Touch the app shows you the workout and gives you details on how to do exercises. 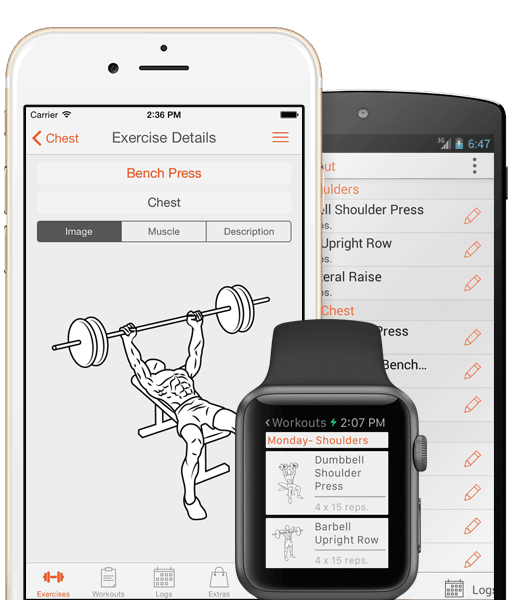 It’s also the only app that lets you add an exercise from the Apple Watch. That’s handy when you’re at the gym, and you need to change your workout on the fly when the place is busy. Jefit has been around forever and works everywhere. It was the first app I used when I started tracking my workouts. It has a vast database of exercises that including animated GIFS of how to do them along with a description. If your exercise isn’t in there, you can add a custom one (and no, I won’t show you an animated GIF of my workout…). This app is free with ads. 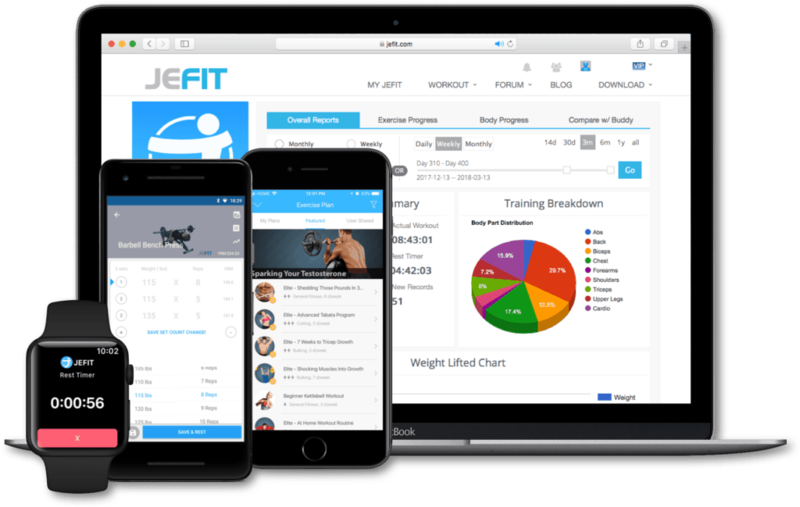 For between $6.99 and $3.34 a month, depending on the term, you can add more exercises, try preset workout plans, and access your routines via the web. Starting out, I liked the app and it worked fine with the free version. Although I liked the database, the app is cluttered on the iPhone. The Apple Watch app only works if you start the workout from the iPhone, which partially defeats the purpose. Fitness Point didn’t have as many exercises as Jefit, but I found it easier to use. Moreover, you can sync all your workouts to the Apple Watch so you can stay independent from the phone. This app also includes a picture of the exercise you’re doing. Like Jetfit, they include some workout plans. For a one-time upgrade of $14.40, you get more exercise and no ads. I didn’t do the upgrade because the free version had everything I needed. Gymatic’s killer feature is “automatic” detection of your reps. Once you tell it what you’re doing, you don’t need to tell it again. The problem is, it didn’t work very well for me. It would be off by a rep or two. Much like Siri, it worked 90% of the time, but it’s that 10% that drove me insane. What I did like, however, is the ability to super-set: switch off between two exercises. The display on the Apple Watch includes your heart rate. Some lifters like having that info. The other cool feature is Siri announces your next workout. The free version detects only eight workouts, but for $29.99 a year, you get unlimited detection. Whatever you decide, if you’re a regular lifter, you know the importance of accountability. The easier it is to track, the more likely you are to do it.